HOW DO YOU ENVISION THE FUTURE? For Denim Day NYC, the future is free of sexual assault and sexual violence. 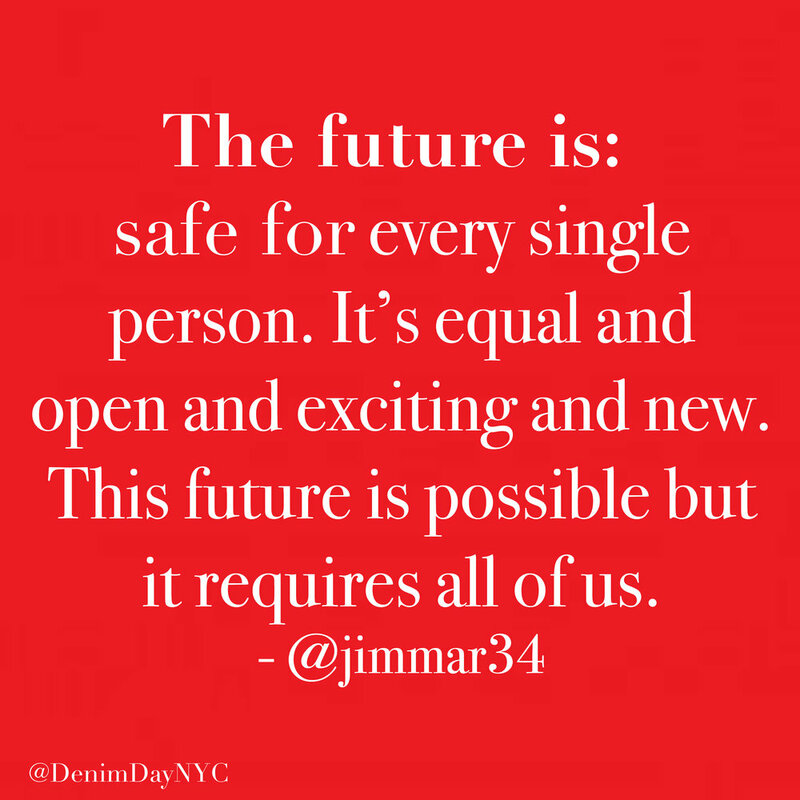 Progress towards this future is a process, and Denim Day NYC’s role in the process is to spread awareness and stand in solidarity with survivors. We want to know how you see the future, which is why our 2019 Denim Day campaign is “the future is”. Click the button below to take a pledge in support of Denim Day NYC. Tell us what the future is to you.